Priscilla says "Find On The Outside" is a very personal song she actually wrote nine years ago, but was always afraid to include it on her previous albums. 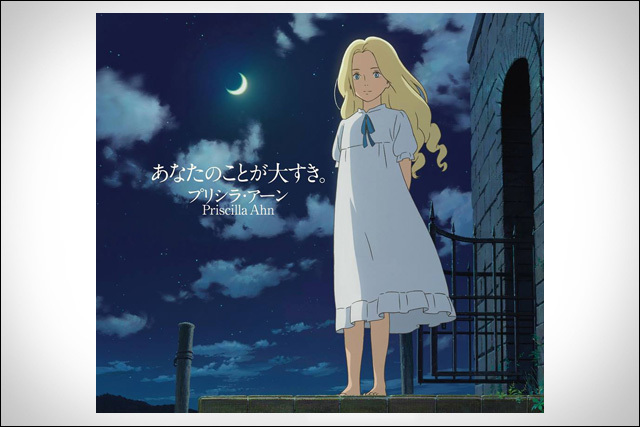 She got courage to submit it for When Marnie Was There because she was inspired by the film's themes of friendship and love. "I hope both the film and the song can be a friend to you too... I feel like they go hand-in-hand," she says. Just Know That I Love You is available on iTunes. You should also definitely check out Priscilla's previous album This Is Where We Are, released earlier this year. For further information about Priscilla Ahn and her music, visit her official website and follow updates on Facebook. More here: Fine On The Outside + Movie Release!! !